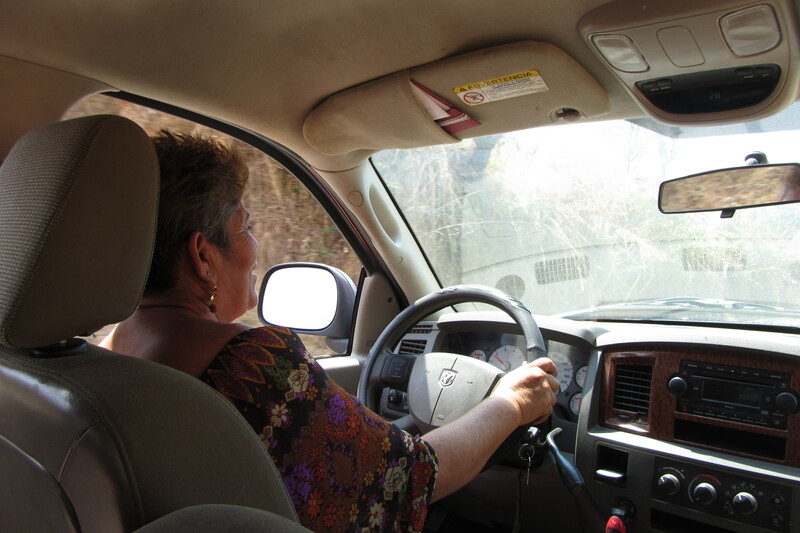 On the road to a community in Chiapas. When I found out I was being placed in Mexico, I was not exactly thrilled. I wanted to go someplace exotic, and far from home. Living in California, I’ve had lots of exposure to Mexican culture, so I thought that I wasn’t going to feel that I really got away. The truth is, however, that I had never been to Mexico, outside of visiting a few resorts with my family, and I (not surprisingly) discovered that the mission district in San Francisco, where I live, and beach resorts are not proper representations for the “real” Mexico. 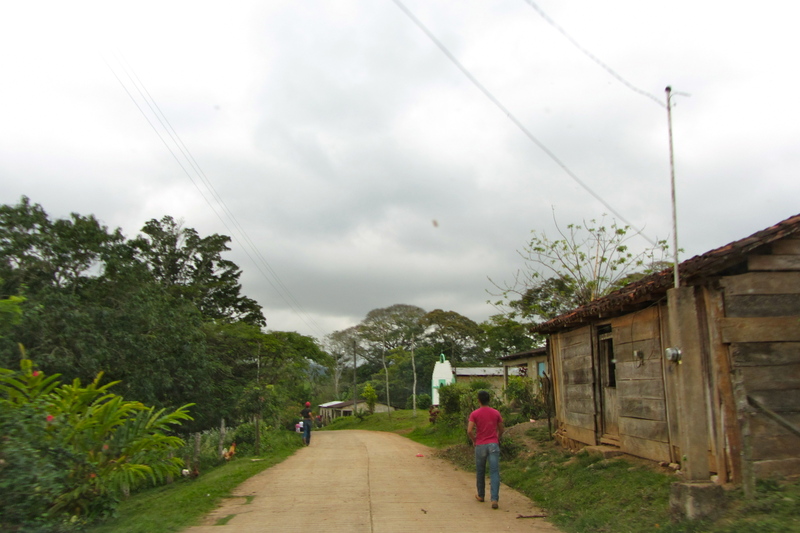 I want to share my experience travelling around the country meeting with borrowers of Fundacion Realidad, A.C. (FRAC). 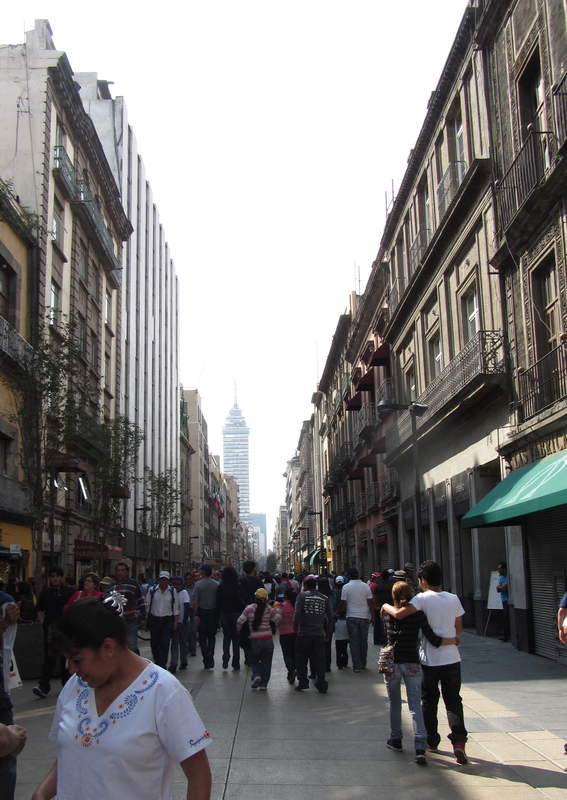 Mexico city is a modern metropolis with colonial charm. Its a stark contrast to the villages I have visited. My visits have taken me around most of the southern part of Mexico, from the metropolis of Mexico City to the chilly mountains of San Felipe de Progresso, the humid climates of the state of Guerrero, and the lush greenery of the Chiapas state. Along with different climates (that make packing difficult), come different ways to use the language, and sometimes even the languages are different. 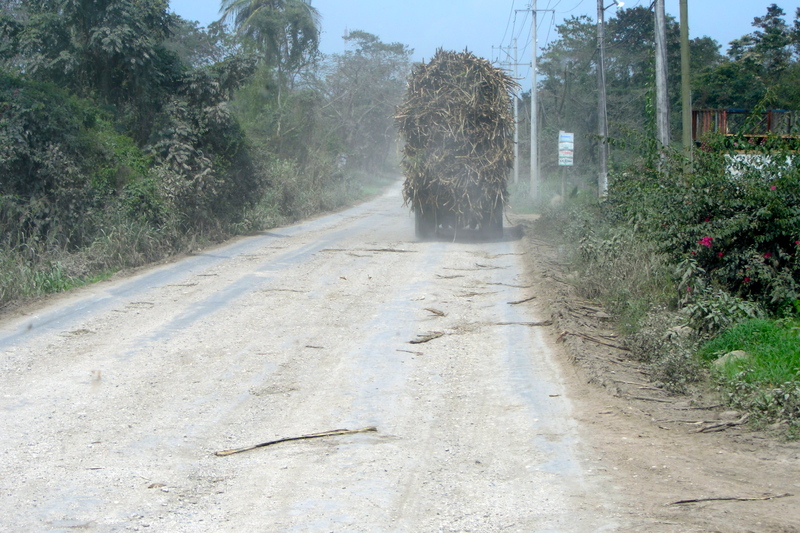 Sugar cane being transported to the processing plant in the state of Veracruz. There are approximately 60 indigenous languages spoken throughout Mexico according to my trusty Lonely Planet. In fact, in some of the rural communities I visited Spanish is often the second language. I have been introduced to at least a few of these languages. It surprised me how prevalent they are in many communities. It had not occurred to me that in Mexico I would be in situations where I couldn’t understand what was being said around me. In a rural village in the state of Oaxaca, the women receiving a group loan offered to teach me their language in exchange for English. 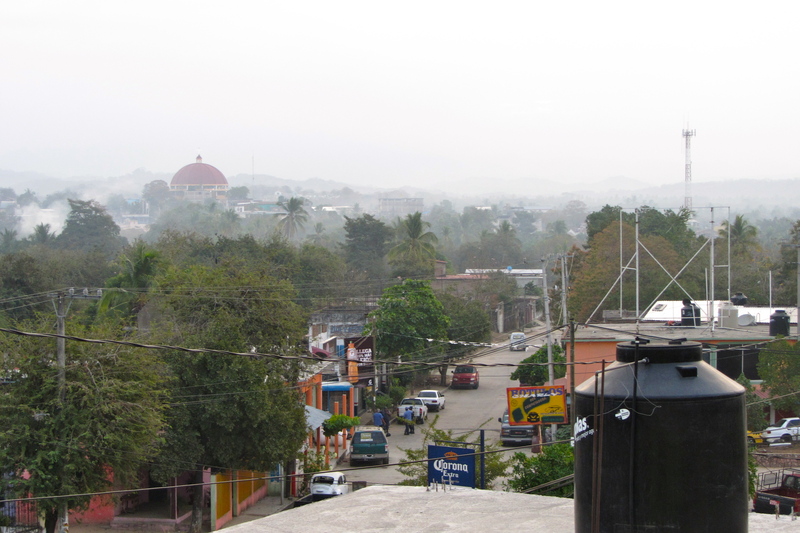 This is the view of town from my hotel room in the state of Guerrero. This is about two hours from Acapulco. Along with the languages comes cultural diversity. This is reflected in anywhere from the dress, to daily routine, to culinary choices. Eating breakfast in each region, has been an adventure, but a good one. I’ve had anything from eggs, to tostadas and enchiladas. 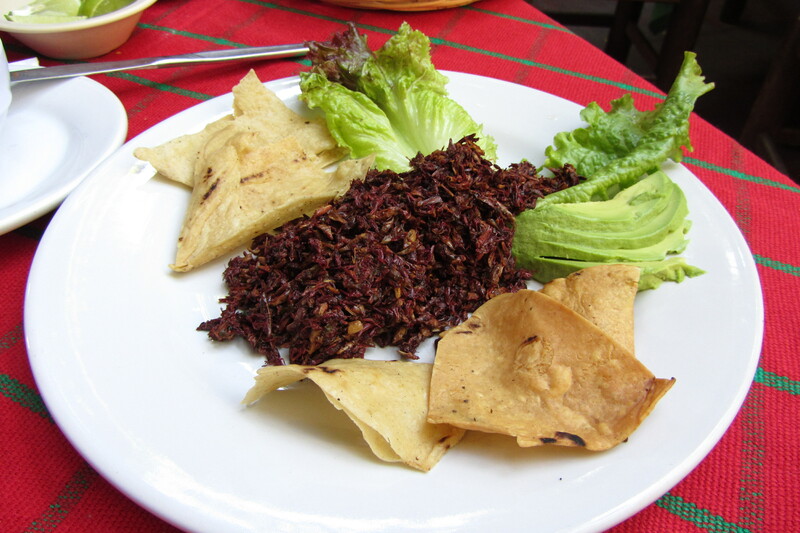 Some interesting food experiences have been eating chapulines or “grasshoppers”, to getting a red, cooked concoction when Iordered ceviche. Another reflection of this cultural diversity is religion. Even though approximately 90% of Mexican’s claim Roman Catholicism as their religion, the way they practice varies. According to the Museum of Culture in Oaxaca, this is because many indigenous groups welcomed the Spanish upon their arrival allowing them to incorporate some traditional beliefs into their practice. I certainly can’t claim to understand all things about the various cultures here, nor do I want to limit Mexican culture to my brief descriptions above. These tidbits, however, were interesting observations that I made on my short visits with borrowers and as I spend some time here I hope to learn more. One reoccurring theme during my visits with borrowers, mostly women, was that they are also hard workers, and proud of it. 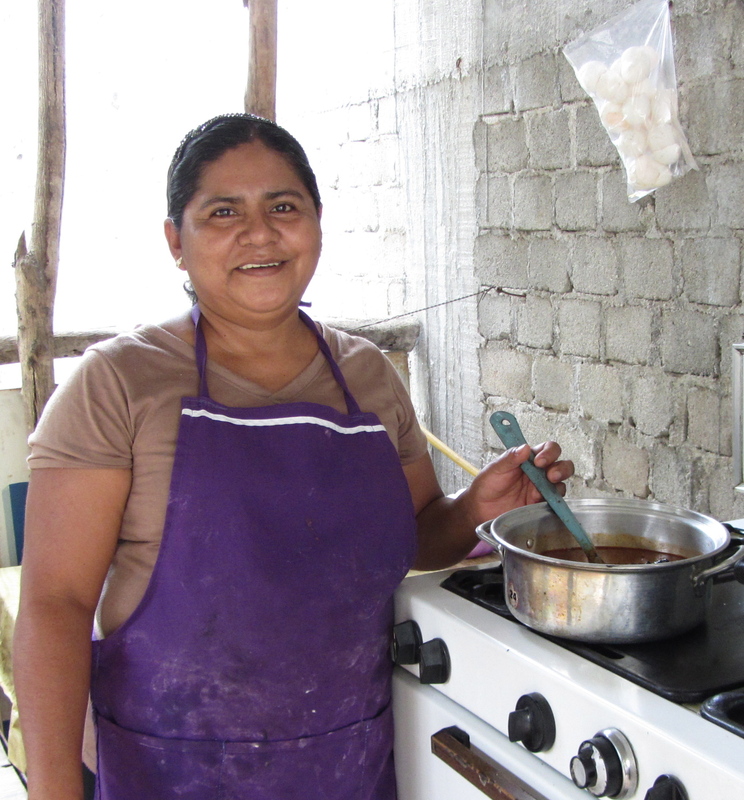 Claudia opens her kitchen up to us at her restaurant in the state of Oaxaca. Borrowers have been exited to share their stories of success and their struggles with me. For instance when I caught up with Claudia, she told me that she never imagined having her own restaurant, but does now thanks to the loans she has received from FRAC. She started with a much smaller operation selling food in the community, and didn’t want to get a loan at first. Local entrepreneur and Kiva borrower, Elizabeth, brings us back to town from a borrower visit. She has two businesses, the truck taxi as well as a local convenience store. She decided to get a loan after a few fellow business owners in her community told her these were loans meant for hard workers like herself, which she embraced. Although not everyone had a story of success, some were getting along by providing necessary goods to isolated communities, and sold many types of goods to get by. Others provide valuable services to their community, such as transport to areas where there are no busses. Many were also working to supplement their incomes for things like a bigger home, or keeping their children in school, which are things that we can easily relate to. It was refreshing to see women taking charge, and providing for their families, despite the stereotype of a machismo culture. To conclude, there are many things I could have mentioned here, such as the hospitality, getting around, or even safety. Each topic could definitely be its own blog post, or even a book. My eyes have certainly been opened, and while it is true that there are some things that do feel a little familiar, there is so much more to discover. I am excited to continue to learn and experience more during my time here. 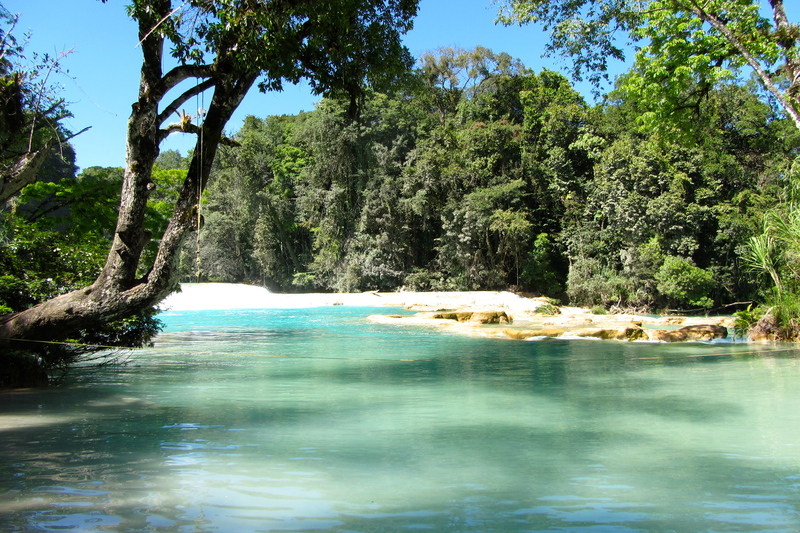 A very blue river at the Aguas Azules Waterfalls in the state of Chiapas. Kiyomi is a Kiva Fellow in KF17, the 17th Kiva Fellows Class, with Fundacion Realidad (FRAC) in Mexico. She has traveled extensively throughout Latin America and has six years experience working in Financial Services. Make a loan to one of FRAC’s clients or join their lending team! Entry filed under: Fundación Realidad, KF17 (Kiva Fellows 17th Class), Mexico. Tags: blogsherpa, Kiva, Kiva Fellows, kiva.org, Kiyomi Beach, Mexico, microfinance, Travel. Interesting post Kiyomi. I initially had similar thoughts about coming back to Colombia, but you’re right in that there’s always more to uncover and engage with. I’m following Mexico extremely closely, as in a lot of ways it seems to be like looking back in time to Colombia 15 years ago. To be honest, I’m a bit jealous of you, I always thought Mexico would be an amazing placement! Great post Kiyomi! I am really enjoying hearing about how vast and wonderful Mexico is! Very nice post!! Thanks for your visit to México, always welcome. Chapulines are delicious 🙂 I’m glad you’re getting to try some of that renowned Oaxacan cuisine… you should do a post JUST on that! Thanks! I definitely preferred the moles over the chapulines, but it was a must while I was there. Apparently in Huatusco the interesting food is ant eggs, which are only available in June. That may be a bit much. I really appreciate your comment, Berenice! It’s true that the work is worth the effort, and you really get to know this by visiting the borrowers and hearing their stories. This is a truly rewarding experience that provides one with great perspective.